YouTube is viral video hosting site from Google company. Day-to-day internet speed is updating from broadband to 3G and 3G to 4G. Thousands of Videos are uploading every day on video hosting sites. Anyone can upload videos without paying anything. Are ready to upload videos. 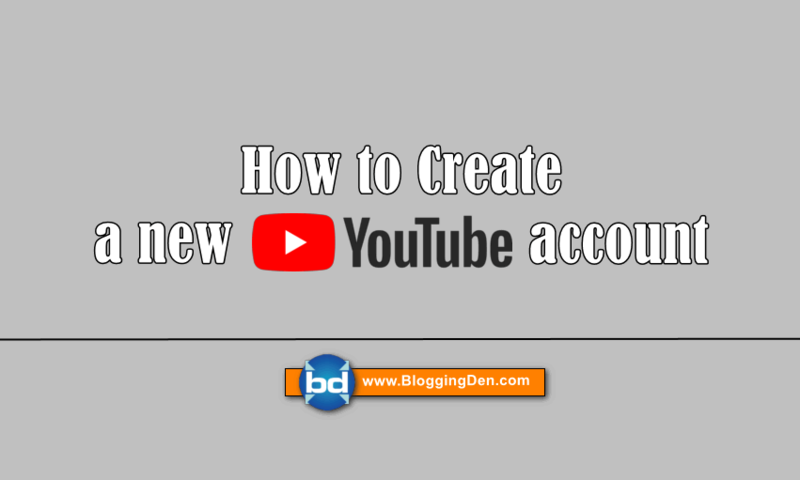 Today this tutorial helps to create YouTube account personally. How to Get a YouTube Account? Create YouTube account, and YouTube channel is very easy. 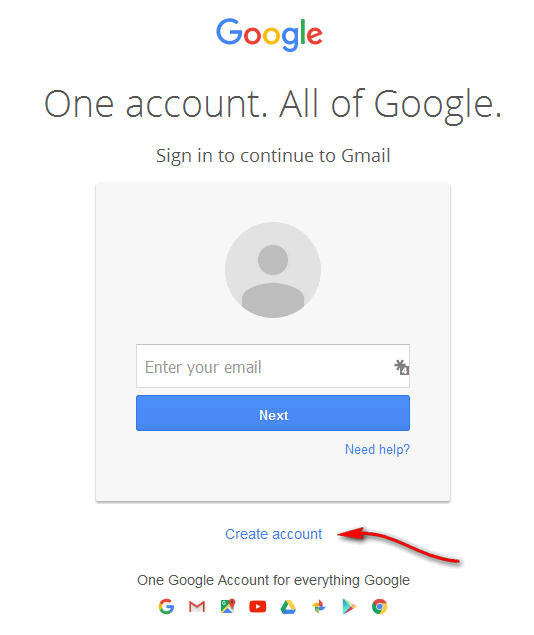 First, you need to Create a New Gmail Account for new YouTube account creation. Just follow these step, you are ready to upload your videos in HD format. Videos sold and are hot on the Internet; I think it’s nothing new. That is why every day is more critical for any business to own their own channel of YouTube to create and enhance visual content strategy. Do you have a YouTube channel? But, you know how to create YouTube account and its optimization? If you are one of those who does not have a presence in this video platform, this guide and video tutorial are specially designed for you. How to Create YouTube Account? 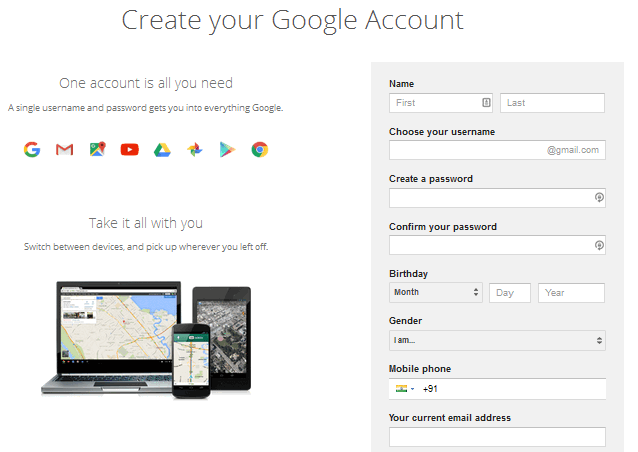 Create a New Google Account? Many readers of this post will think creating videos is difficult, expensive and not worth the face of social networks, but they are wrong, the video format is easy to perform, inexpensive and a great success with social networks. A YouTube is up about 300 hours of video per minute, or what is the same, about 12 days and a half of content per minute. Impress is not it? YouTube is one of the Google services. The video content becomes popular and appears good position on Google result pages. In fact, YouTube is the second search engine behind Google. Most of the people are changing their habits from TV to Youtube for watching the video because of their flexible usage. Laks of people is uploading their videos from their computers and cameras to Youtube. By uploading these videos, they are earning thousands of dollars every month. This article will help you start a new YouTube account to upload your videos. Video marketing strategies are not a simple process for any company. It is hard to record, edit and make a new video. So, here YouTube simplifies your marketing and business strategies by attracting more users. To upload a new video, you need to create a new Google account. With this new account, you can access all of the Google services like Gmail, Google Drive, Youtube account, Google Maps, Photos, Google Docs, Translator, Playstore and more features. These are all freely accessible features. Along with Google services, You can create Youtube account and Youtube channel to upload your videos. Click on “Sign In” button, which is located at the right side top corner. Now click on Create account link. In the next screen, you will get the form. Fill the form, accept the Privacy terms and activate your new Google account. 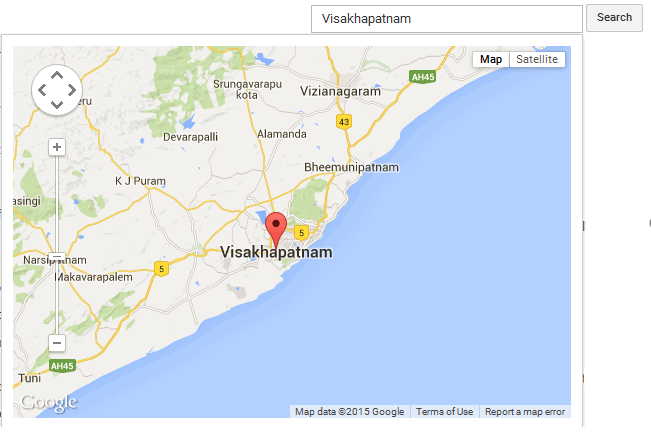 Now you are ready to access all the features and services provided by the google. From those services, Youtube is one of the popular Video hosting services. You can Now click on YouTube button and fill the profile now. This is the place to upload your videos. How to Open a YouTube Account? After creating a new Google account, go to top right side corner. Then click on “9 dots symbol” and select YouTube button. 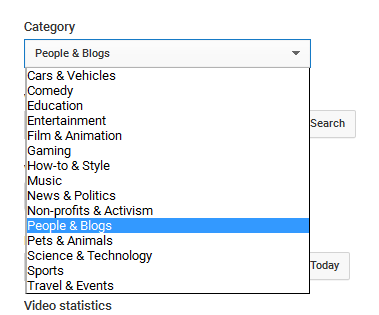 Now enter your basic details for a new channel creation in YouTube standard account. Now click on “My Channel” button and start configuration. Do proper settings on the channel. Now upload your image to Profile picture box. 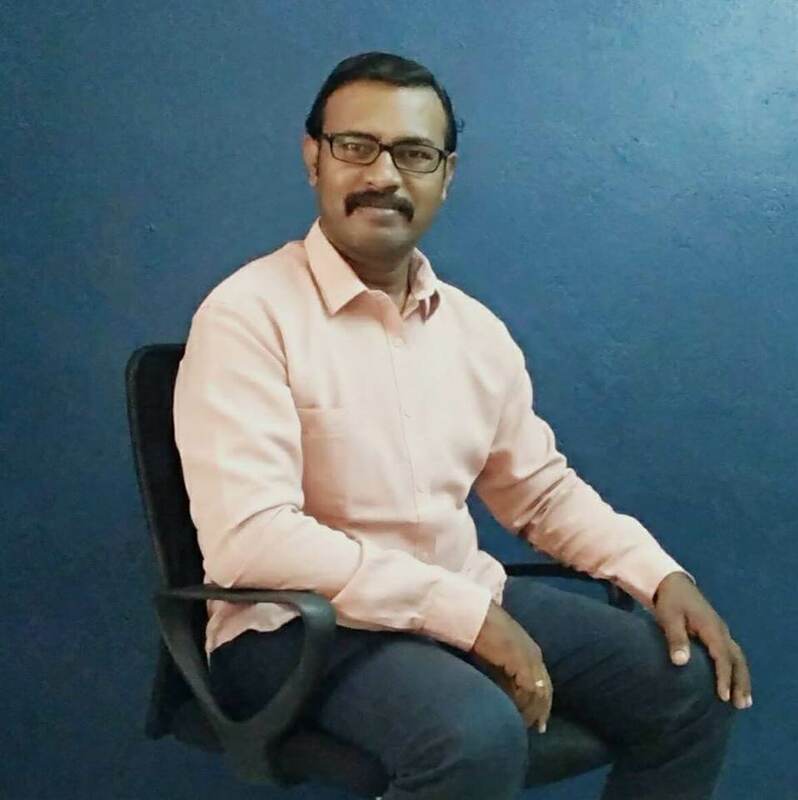 Finally, you will get the first look at your primary channel whether personal or brand channel. To get all the above-listed features, You have to go upper right corner. Now choose “Creator Studio” option. This is the main option to manage your channel. The gear symbol beside the Creator studio button helps you to make proper account settings. Overview: It is the channel overview page. Here you can enter your name, account details, and account settings. There are additional features to create a new channel. Connected accounts: It is the social settings page. 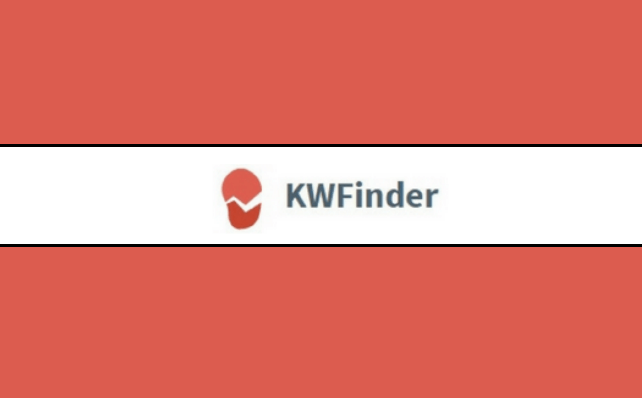 Connect your social accounts like Facebook, Twitter, and Google plus from here. After publishing your video on the channel, these settings help you to auto-post the link in the connected social account. Privacy: It is the most important place to hide your activity on the YouTube account. 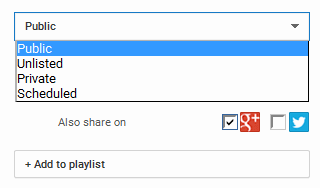 You can hide your liked videos, saved playlist, and subscriptions from the public. 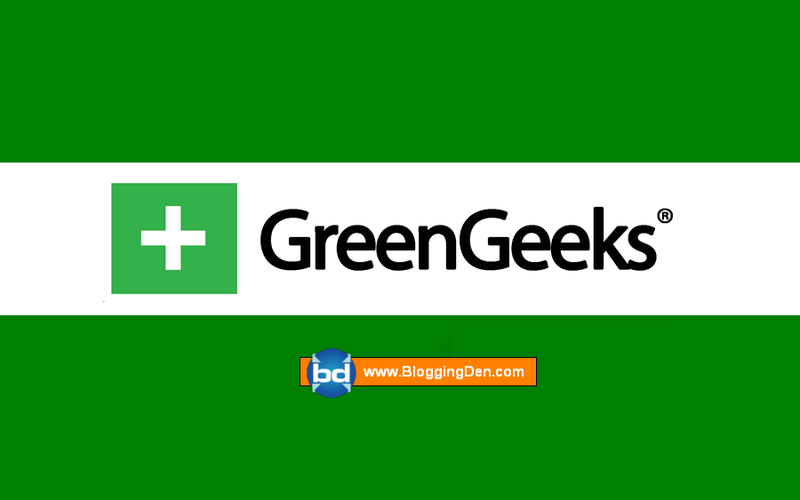 This is the place to set up Google Adsense ads. 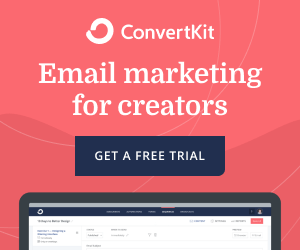 Notifications: This is the place to control email notifications like YouTube activity, General updates, announcements, channel subscriptions, and comment activity. Playback: This option helps you to add annotations and captions on the video screen. Connected TV: By using this option, you can play the videos on your TV device. To pair with your TV, you need to enter the TV code for authentication. Create or Prepare a new video in HD format. After making the raw video, go to Youtube dashboard and click on “Upload” button. In the next screen, click on “Select files to upload”, now You have to specify the location of video to upload from the computer. The YouTube algorithm cannot read what’s in the video and within the picture. So you need to enter the video details in this step carefully. You need to enter the video data and geographical location details for better performance in Google search engines. The specified video will start uploading. The speed of uploading depends on the internet connection speed and edited fragments in the video timeline. Here the size of the video is also a considerable factor. If the video size is more, the uploading time will be high. Youtube loves HD (High Definition) videos. So better to upload HD videos with maximum resolutions. 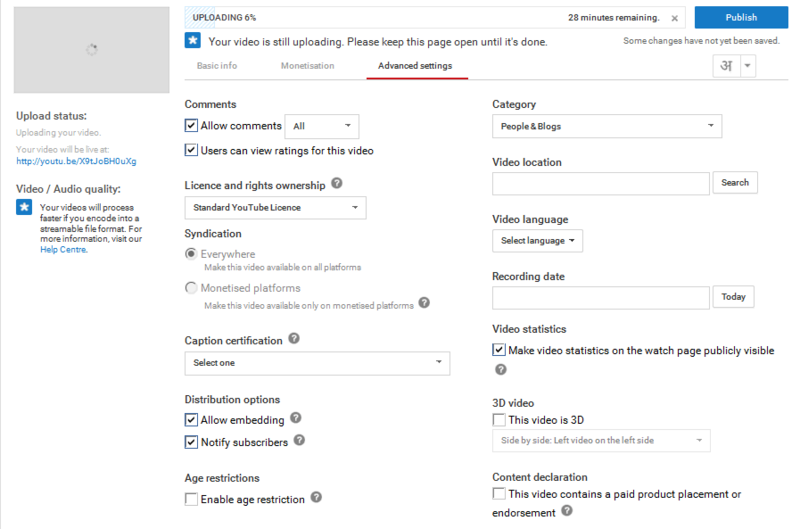 When uploading the video, you need to fill the title, Description, and Tags. The title is the major part of YouTube Video SEO. In the title, Do not exceed the 60 characters limitation. The description is the second part of search engine update. 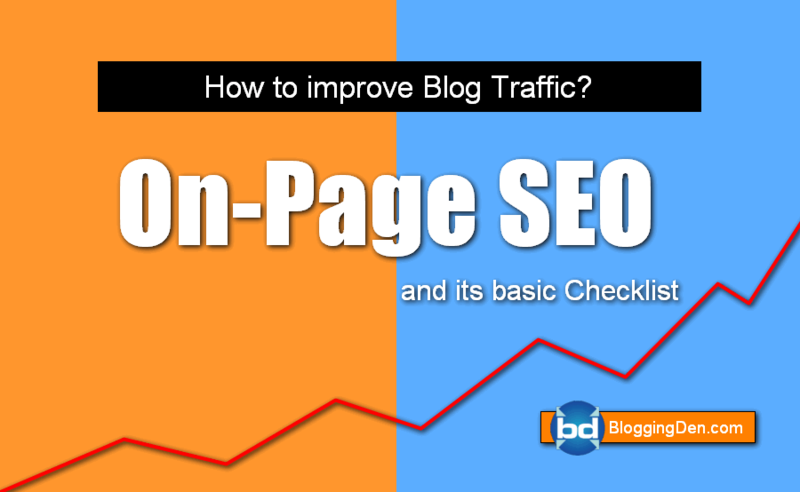 Here you need to add your keywords to your writing for the better SEO. In Description part, no characters limitations. 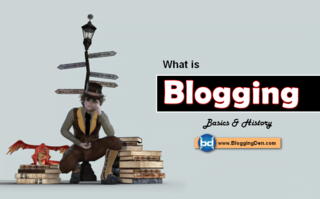 Apply the same tips in description writings when you are writing for the blog post. You can insert outbound links (Blog link, blog post link, Social links, etc) are links to visit your blog. Take advantage of this space and develop the text as the blog post. 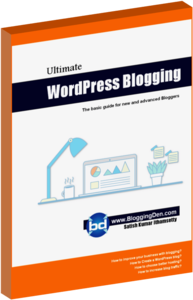 For better results maintain minimum 800 words. Youtube can not read the content of Videos and Images. But the descriptive text is readable by Google spiders and Bots for better Search engine indexing. In the area of labelling, we can insert up to 18 keywords are generic terms and locate the video. Under the drawer labelling and while we are writing appear related words (existing suggestions) if we find one that interests us can put it. In Video uploading page, there is a special tab named as “Advanced settings“. Here you can adjust and add more information about the video. 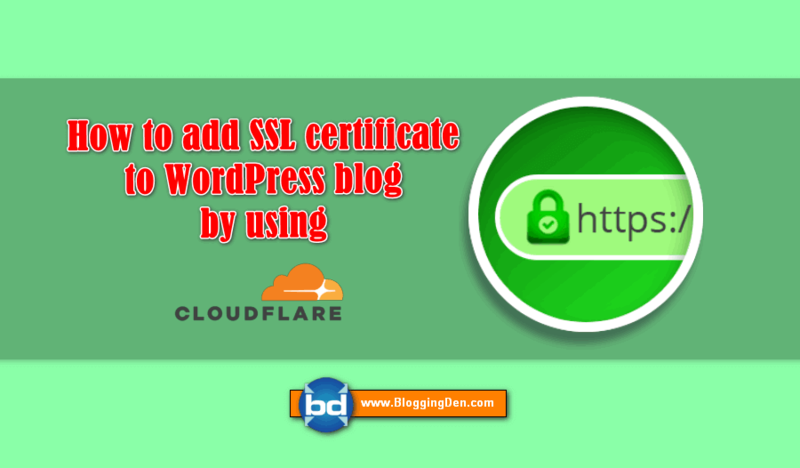 They are Comments, Licensing, ownership details, age restriction, Category, Video location and more information. In Video category section, there are 15 different categories here. You should choose one category from this list. From location, you can add video uploading location by pointing your place. this is the Google Maps connected part. Choose the recording date of uploading video from the calendar. In Privacy settings, you can opt the video privacy as Public or Private. In private mode, the video is not visible to anyone. Here Public mode is preferable to see the video everyone. In Public mode, Google robot can read everything added to videos like title, Description and tags. In Public mode, you can share the video on social media. For this, social icons are available below the privacy settings. By using this, share the video. Use Custom thumbnail feature to add the image to the video. To add this image follow the steps. Go to Creator Studio from top right profile picture. Choose Video Manager option form left sidebar. Next, go to your videos, click Edit. On the left of the preview screen, click on the custom thumbnail. Add image to the computer. Then click Save changes. You can also use the YouTube Studio app to add a thumbnail to a video. YouTube is the top and popular video hosting site from Google. 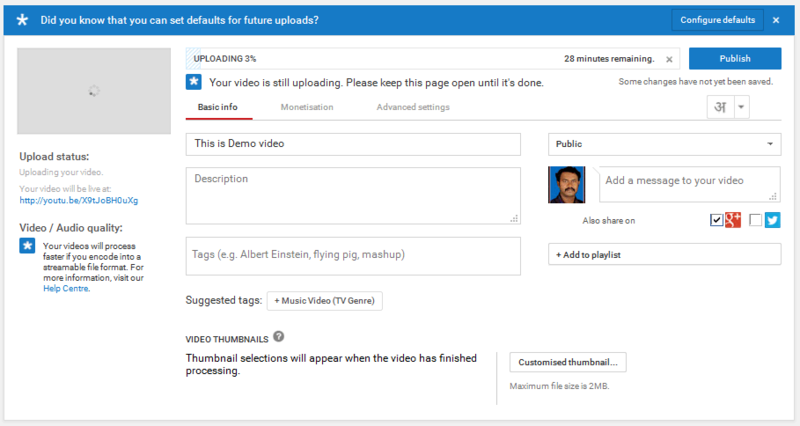 This tutorial explains how to create YouTube account and Video uploading process. Make new Videos in HD quality and upload into your account.